Teleflora's Be Happy Bouquet is rated 5.0 out of 5 by 2. Rated 5 out of 5 by jfkp from arrived on time bouquet was exactly as shown. Looked great. No problems . 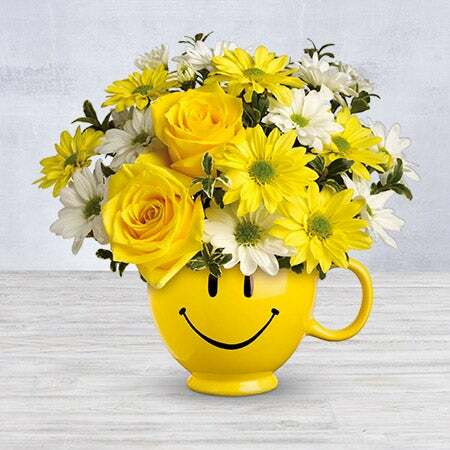 This cheerful arrangement will brighten anyone's day. The ceramic smiley face mug is filled with happy flowers sure to make anyone smile for years to come.